Most of us have worked in an office. And it's the same deal wherever you go. You punch in, you punch out and in between there you sit at your desk, go to a meeting or two and look at some funny videos. Well, that's not us. And rather than telling you what sets our office apart, we want to show you. Why? Well, we just launched our new website, and we thought it would be a great opportunity to show you how we run our galaxy. Will George Clooney be there? Imagine someone asked you of if you'd want to watch a rocket launch. Hopefully you would let out a resounding yes, and maybe even put in a curse word somewhere there to let the person know you mean business. A thousand thoughts would fill your head: where is my passport? What should I pack? Will George Clooney be there? But we are not going to NASA. We are going to iGoMoon. It's eight o'clock on a Friday morning in an office in central Stockholm and the air is full of murmurs and the smell of ground coffee. The room is sprinkled of Macbooks, notebooks that have been scribbled to shreds and half full glasses. The only thing that is silent is the giant R2-D2 replica made out of LEGO that stands in the corner like a reminder of what the result of successful dreaming looks like. The whiteboard is covered with names of companies in bold letters, but when the crew brings up their names they don't call them companies. They call them rockets. This might sound crazy to an outsider. Like walking in on a group of kids who are playing a creative game, where their imagination is the only limit. They say that a monster is attacking them, but all you see is a vacuum cleaner. As they get ready to launch our new website, they go through a strict protocol, just as if the website was going to be put in orbit around the earth - not be uploaded on a server with the tap of a button. Coffee, fist bumps and launch! When the list has been checked, double, triple and body searched for sharp materials, Sofie, the project manager takes out her iPhone. The room quiets. ”3,2,1 - Launch!” A finger hits a button. Silence. ”It's launched!” The room erupts, high-fives are smattering, fists are bumped and celebratory coffee is being drunk. And this was a Friday - just a regular day at iGoMoon. So what do you think about our new website? It's running on the Hubspot COS website system. Have a look around, get yourself settled in, try all the buttons and let us know in the comments below. 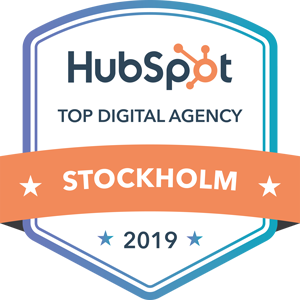 Go to our Hubspot development page to learn more!